This album dates to 1971. Although there is no date on this album, there are some clues as to when it was released. First of all, K-Tel International had been known by two names: K-Tel and Imperial Products. Both company names appear on this album. 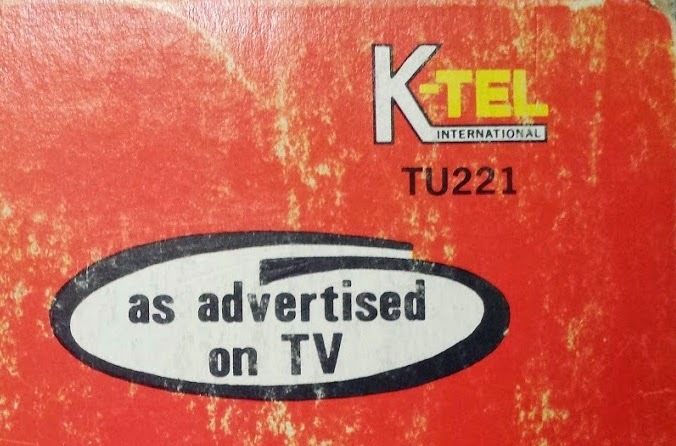 Later in 1971, the company switched to the exclusive use of "K-Tel." 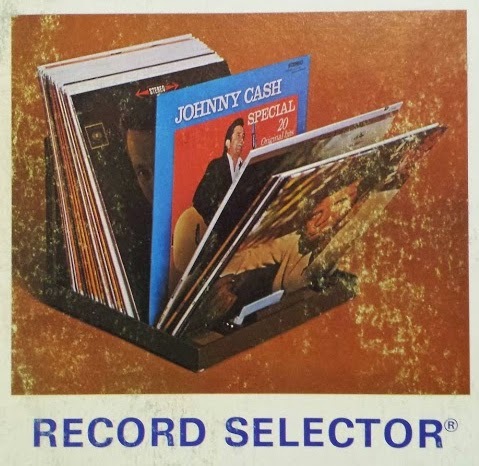 Next, there is a very old K-Tel logo on the album along with a K-Tel exclusive numbering system. All K-Tel albums begin with a "TU." This album also features some of the most heavily edited songs to appear on any K-Tel album. There is one song on the album---"Turn, Turn, Turn" by the Byrds---that has been whittled down to less than a minute. 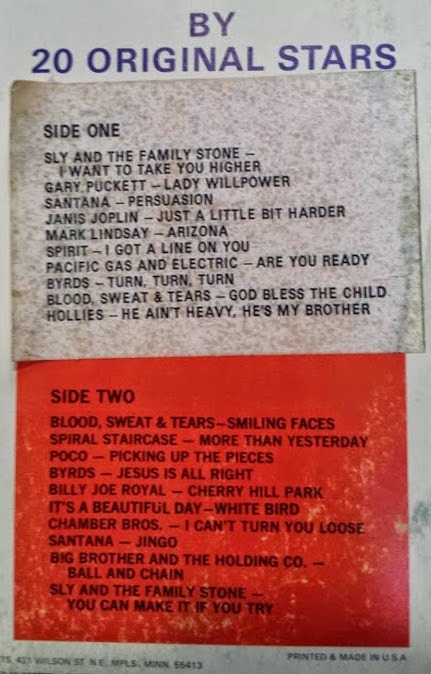 The track listing for side A was printed in error, so a label had been applied to the back with the corrected track list. However, they missed another mistake. The first song on the second side is listed as "Smiling Faces," by Blood, Sweat and Tears. The true name of the song is "Smiling Phases," a cover of an earlier tune by the band Traffic. Oooops. 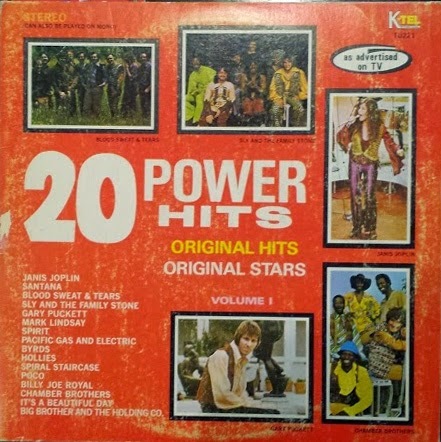 Despite all of this, 20 Power Hits is a solid K-Tel album. At least 44 years old, this album has seen better days. A major skip on the second side necessitated the use of some record sanding--which I normally don't do, by the way. But that is an effective way to keep the needle from jumping. Plus, this album has more than the usual noise, hiss and pops. But that is what vinyl is all about. So take a trip back to the late 60s and early 70s through the magic of K-Tel and Adventures in Vinyl.